Approximately 6" high and 4.25" wide. Made from pressed wood. 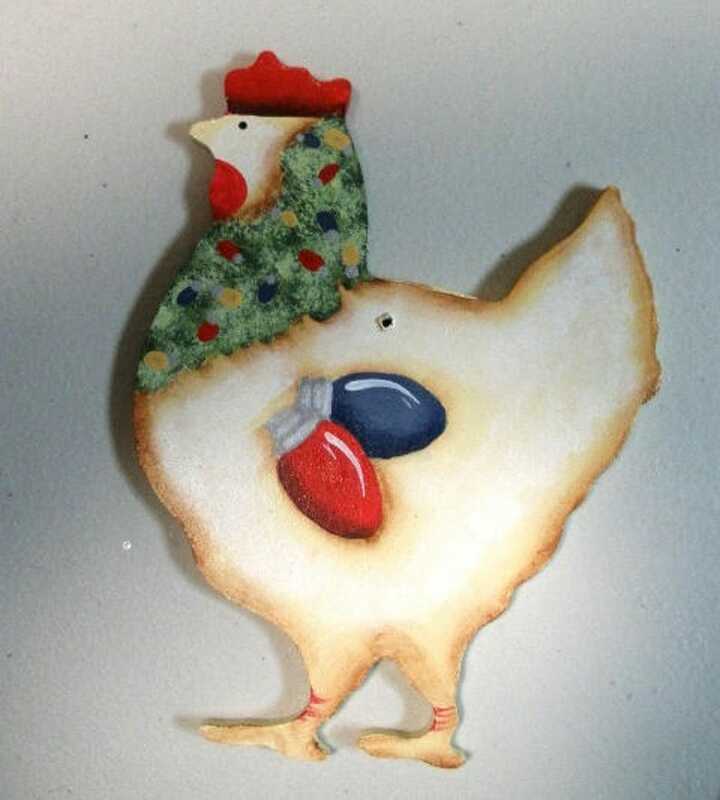 This chicken painted by me is ready to hang. This is the only one available. - design painted on one side, the other side is painted one color. 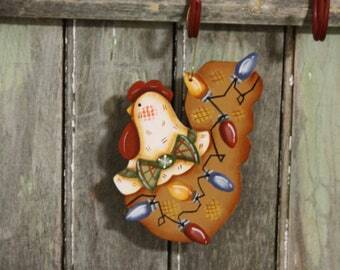 - ornament comes with hanger. - ornament is varnished for protection on both sides. 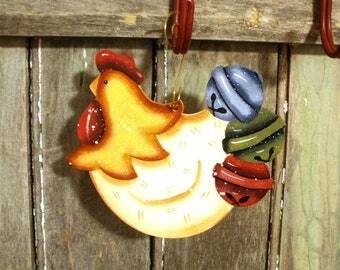 I can add a name on the ornament if requested at no extra charge. Please leave name in comments section upon check out.